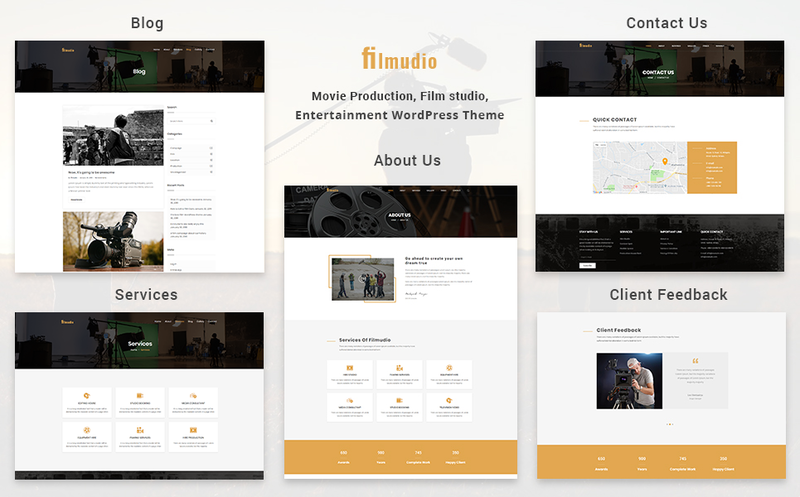 Filmudio - Movie Production, Film studio, Creative & Entertainment Wordpress Theme is mainly focused on filmmakers, film studios, film campaigns, film production companies, and movie marketing. Filmudio is extremely suitable for any creative agency/corporate/team/person/ video blogger/videographer to build their own Film/Movie website. Every pixel is hand-coded within HTML5 & CSS3 and therefore no coding knowledge required to build a site. Clean, elegant and modern design, you no longer have to depend on other sites to do marketing. With Filmudio, promote yourself in a perfect way. 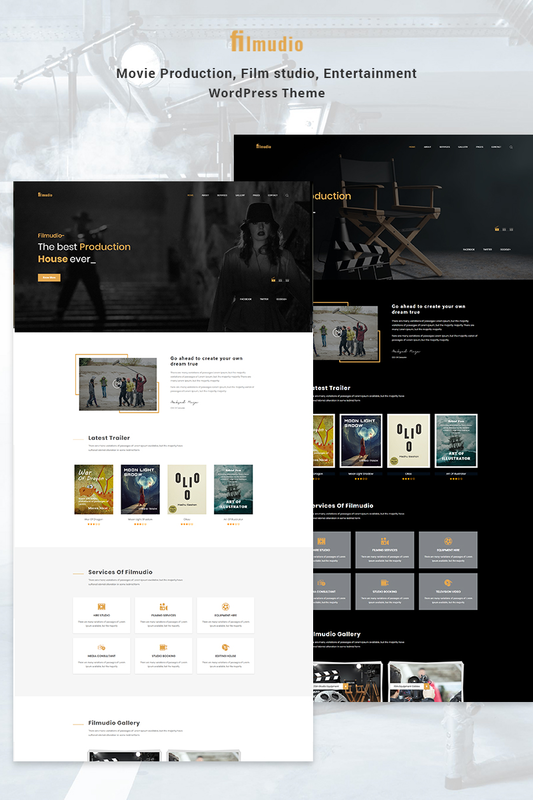 Movie Production, Film studio, Creative & Entertainment Wordpress Theme does all the work for you, you just need to show up! With Filmudio, make your customers happy.